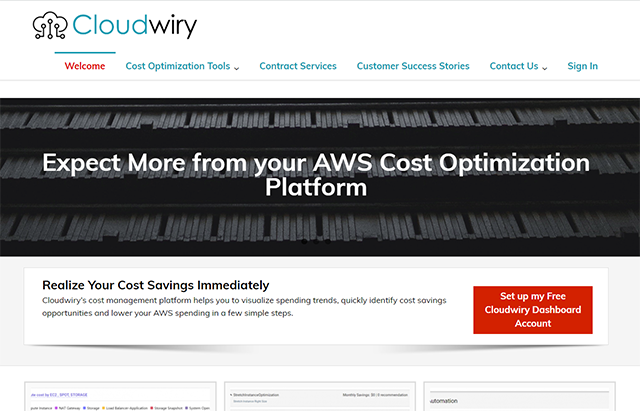 Cloudwiry is an enterprise software solution focusing on cloud cost optimization. For this site I used Alante as a base theme in conjunction with HTML, CSS and jQuery to make modifications. Stock Photos were curated by Unsplash. 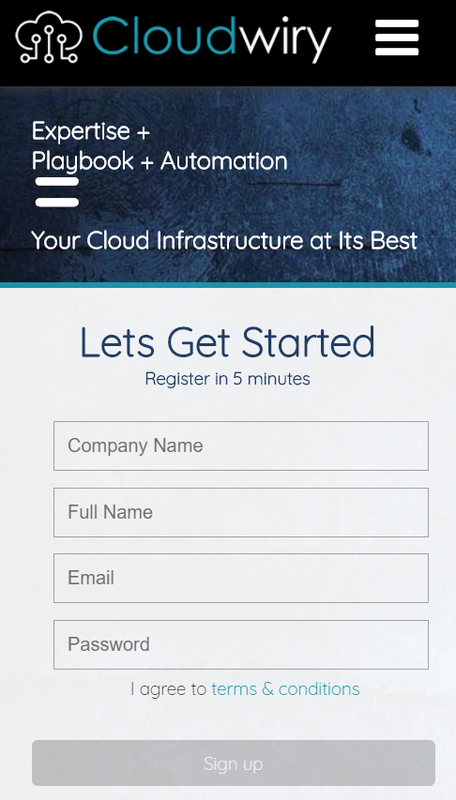 I’m currently working on Cloudwiry’s SEO which involves proper analytics set up, XML site mapping, tracking search queries and adding curated content. Rankings improved dramatically, moving up 10 slots within the first 30 days of adjustments. View the snapshot of their former site here. 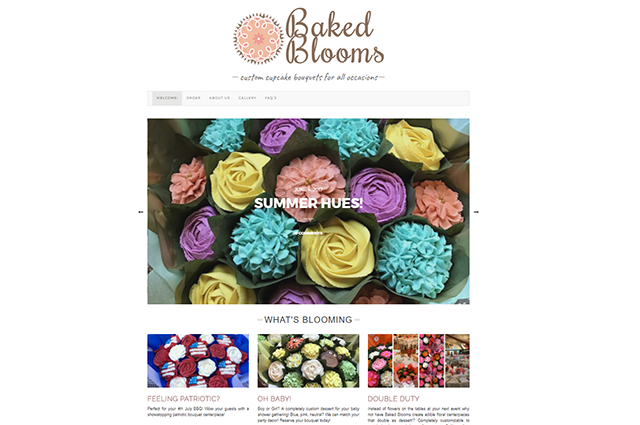 Baked Blooms creates beautiful art that you can eat. They may look like flowers but they’re cupcakes. This client project was a design overhaul with the objective of creating a mobile friendly site as well as simplifying the “Request a Quote” process. I used the Kale WordPress Theme along with jQuery, PHP and CSS to modify numerous elements within the theme. For this particular client I also created the logo and trained the team on how to use WordPress. I am currently working on establishing their SEO process. This is a great example of how I united her social media with the website seamlessly to encourage engagement. 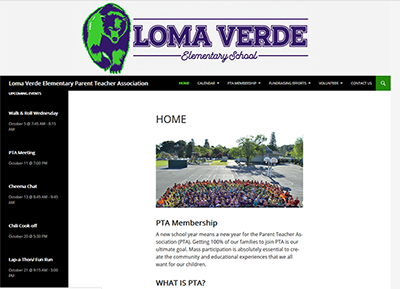 The Loma Verde Foundation is a non-profit Parent Teacher Organization focused on building a stronger community for Loma Verde Elementary School. This is the second site project I’ve worked on for Loma Verde. I designed their first site prior to their transition from PTA to PTO. 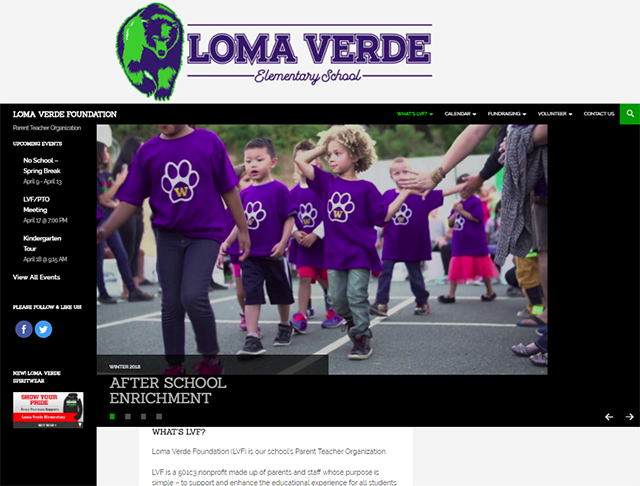 I will continue to work with Loma Verde Foundation to integrate their site with their communications platform. 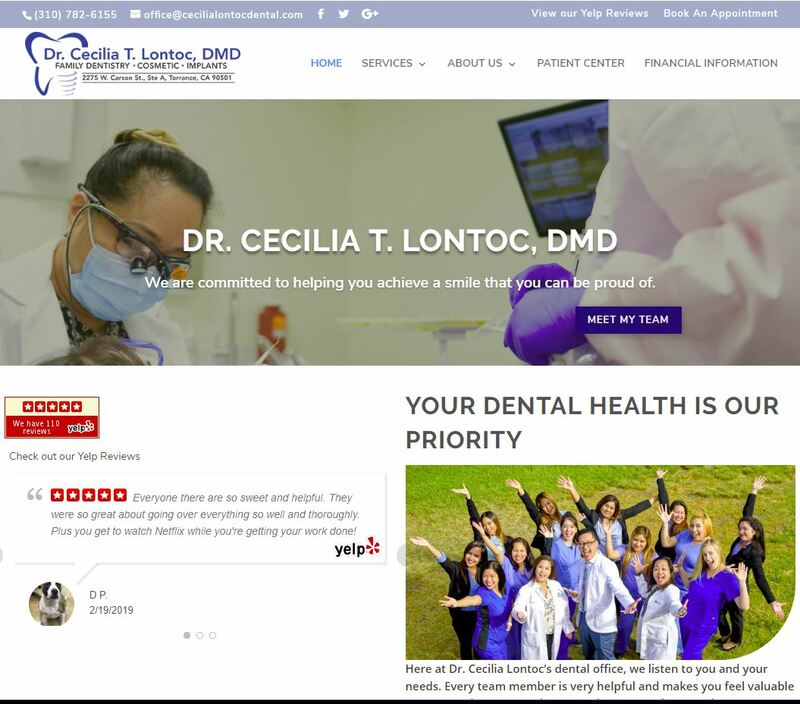 Dr. Lontoc has a reputable practice in Torrance, CA that specializes in Family and Cosmetic Dentistry. View this site.